KUMAMOTO, Japan -- Two powerful earthquakes a day apart shook southwestern Japan, killing at least 29 people, trapping many others beneath flattened homes and sending thousands of residents to seek refuge in gymnasiums and hotel lobbies. 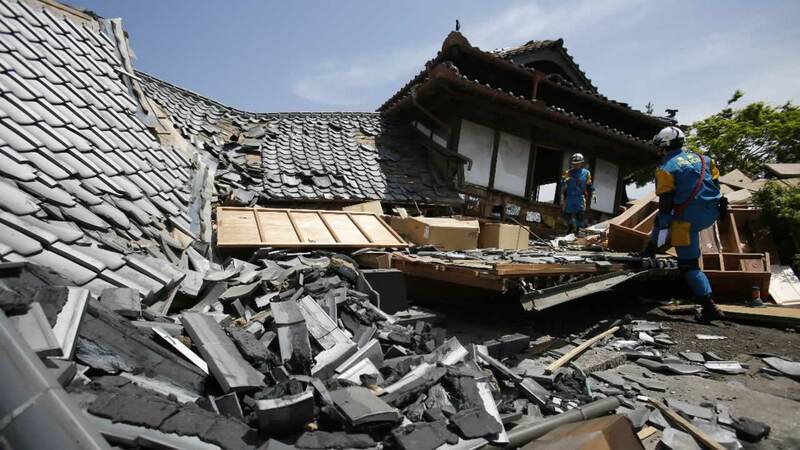 A powerful earthquake with a preliminary magnitude of 7.1 struck southern Japan early Saturday, barely 24 hours after a smaller quake hit the same region and killed nine people. Kumamoto Prefectural official Tomoyuki Tanaka said the death tolls were climbing by the hour, with the latest standing at 19 from Saturday's magnitude-7.3 quake that shook the Kumamoto region on the southwestern island of Kyushu at 1:25 a.m. On Thursday night, Kyushu was hit by a magnitude-6.5 quake that left 10 dead and more than 800 injured. Tanaka said reports on injuries were changing fast and he did not yet have any number. 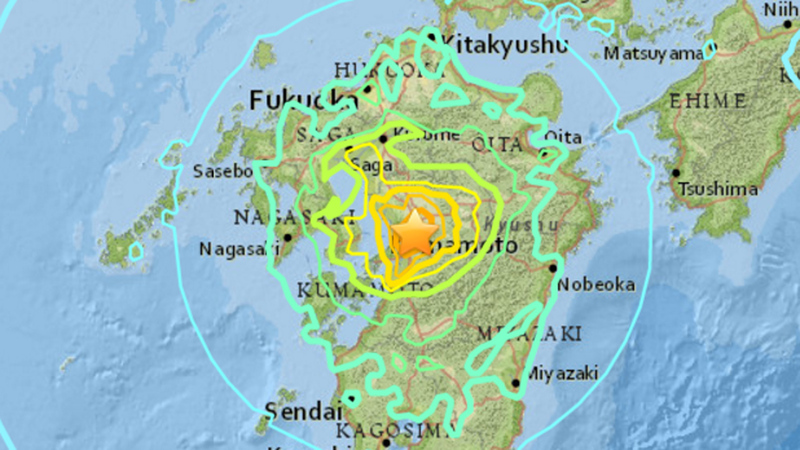 A series of aftershocks ensued, including a magnitude-5.4 Saturday morning. The Japan Meteorological Agency said that the quake that struck earlier Saturday may be the main quake, with the earlier one a precursor. The quakes' epicenters have been relatively shallow - about 10 kilometers (6 miles) - and close to the surface, resulting in more severe shaking and damage. Japanese media reported that nearly 200,000 homes were without electricity. Drinking water systems had also failed in the area. Japanese TV news footage showed people huddled in blankets, quietly, shoulder to shoulder, on floors of evacuation centers.